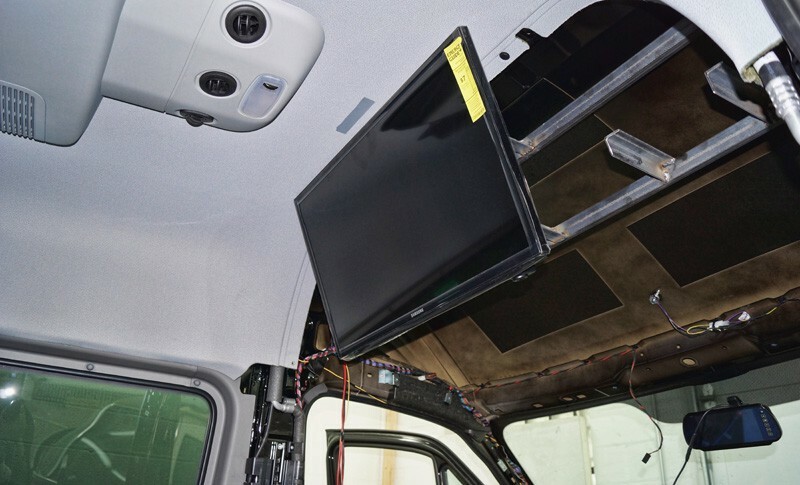 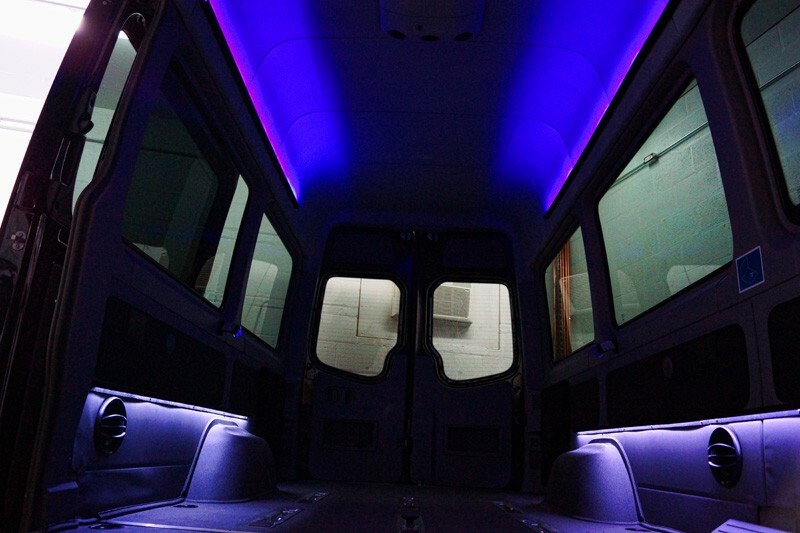 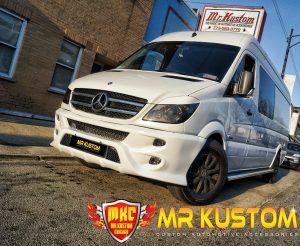 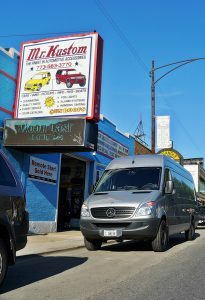 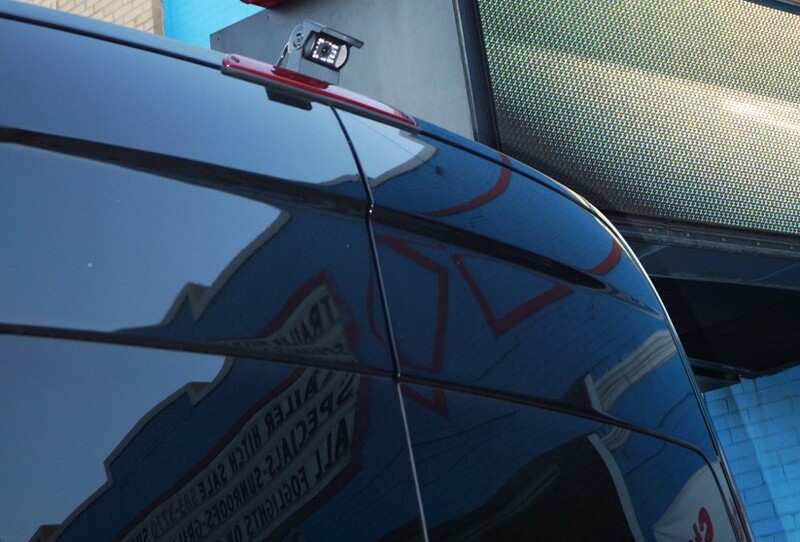 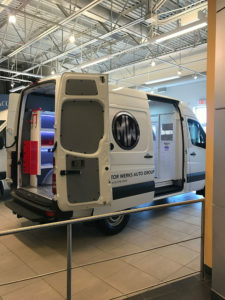 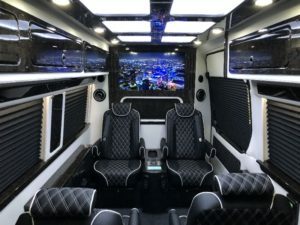 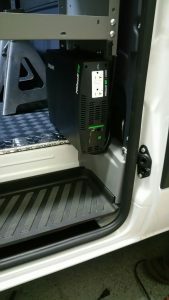 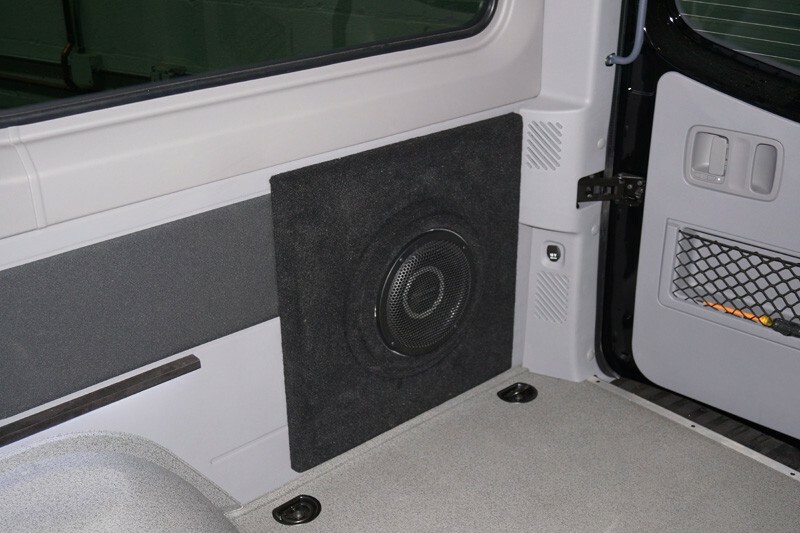 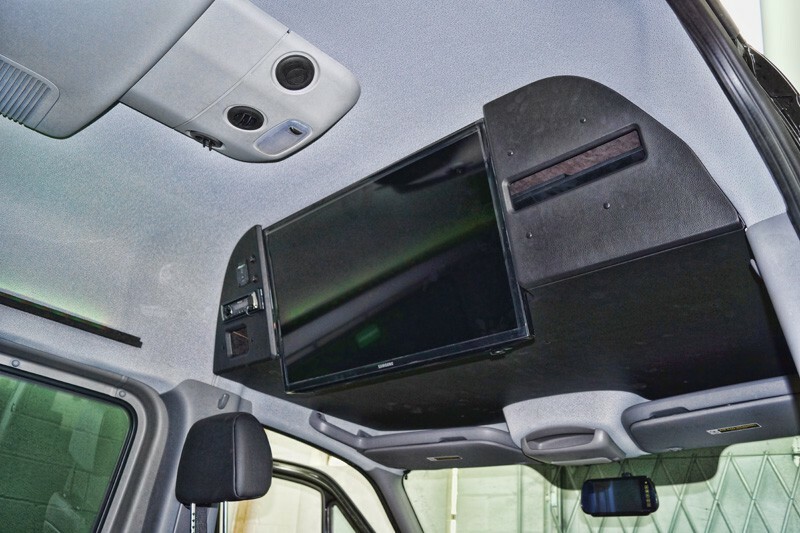 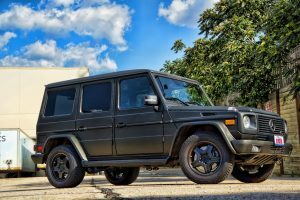 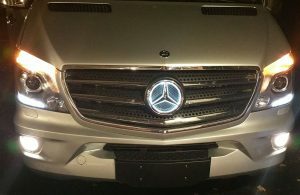 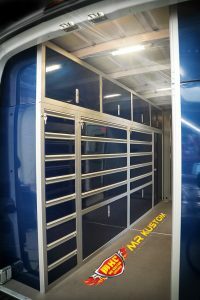 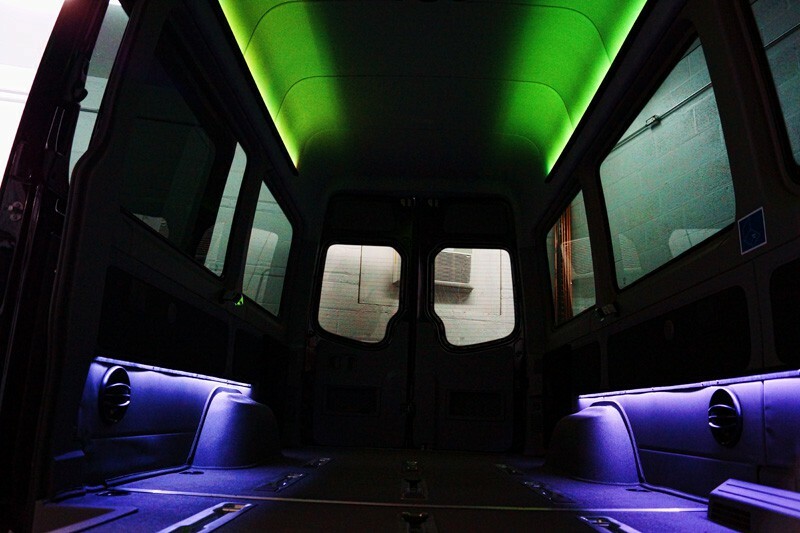 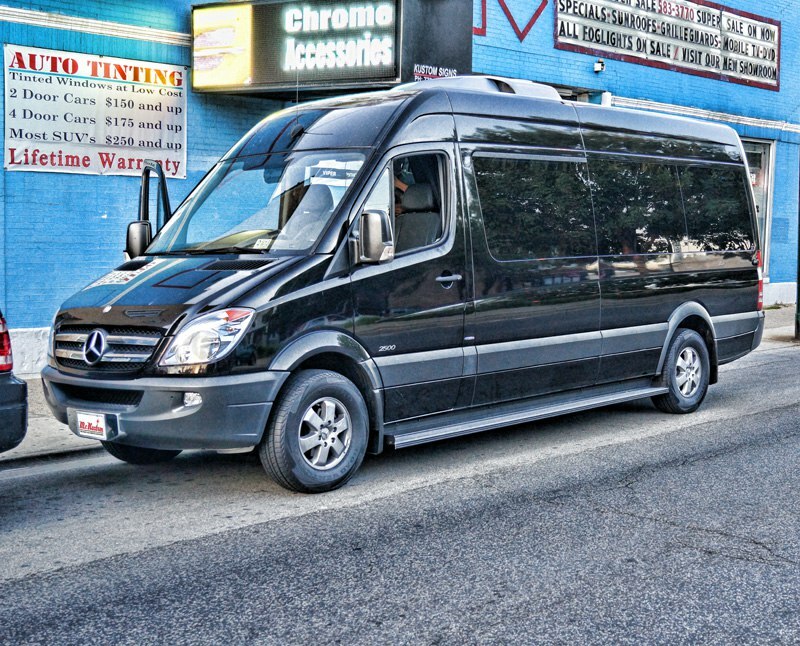 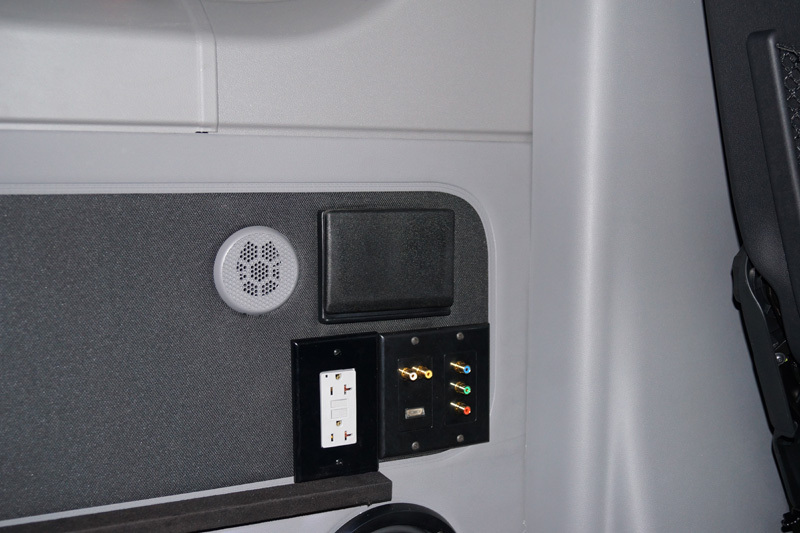 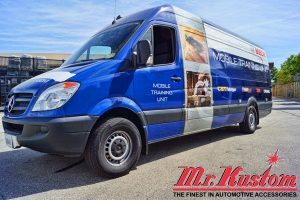 This 2012 Mercedes Benz Sprinter Van had some party bus upgrades. 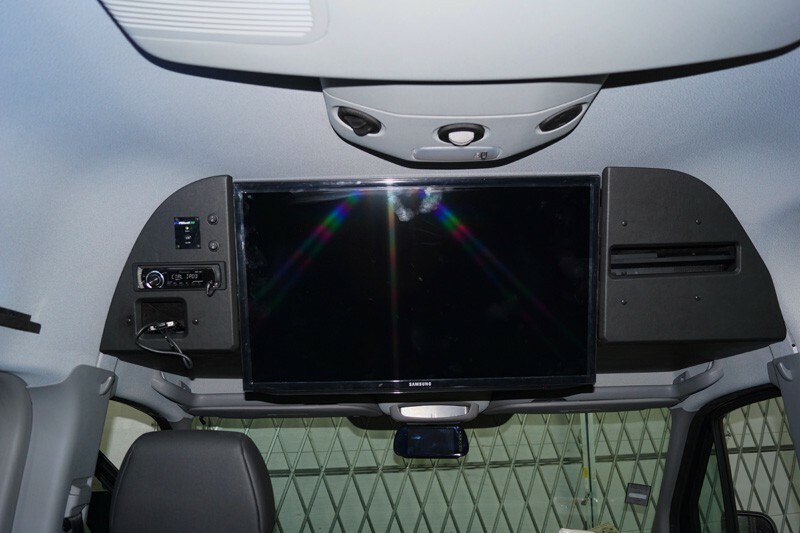 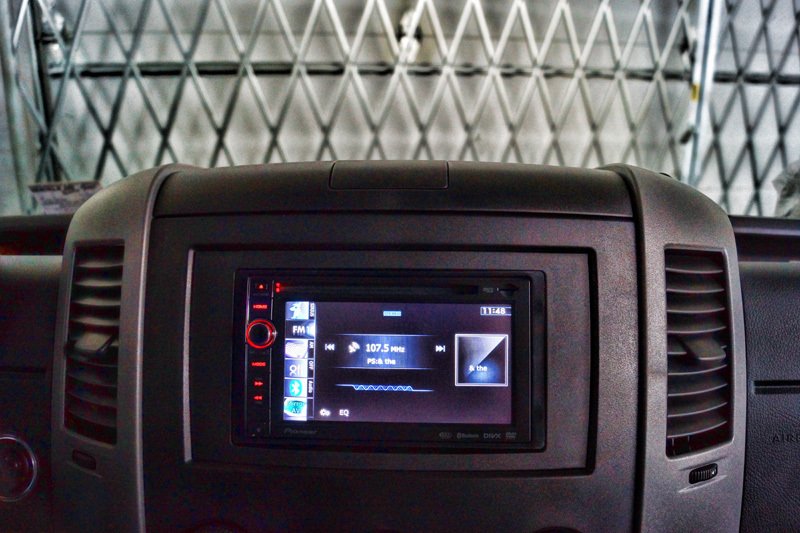 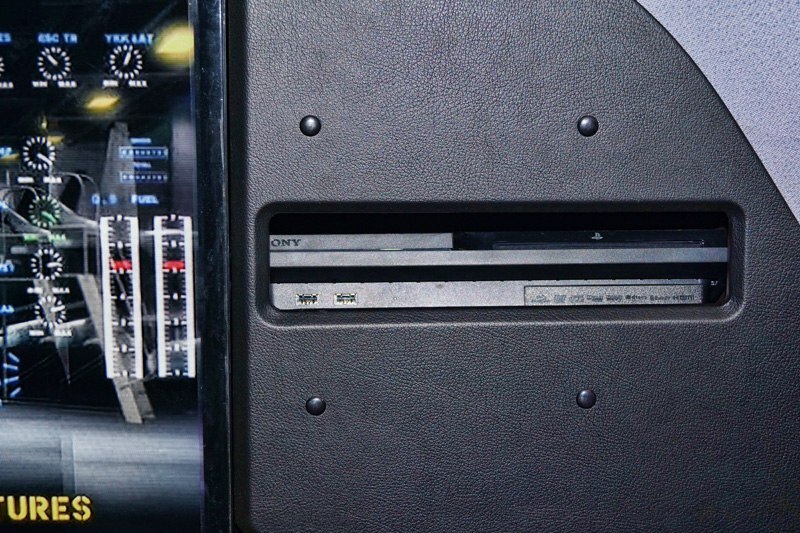 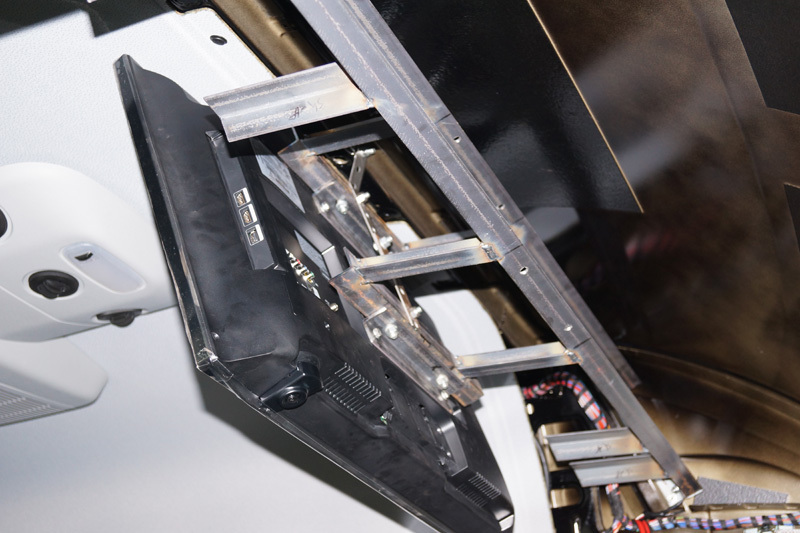 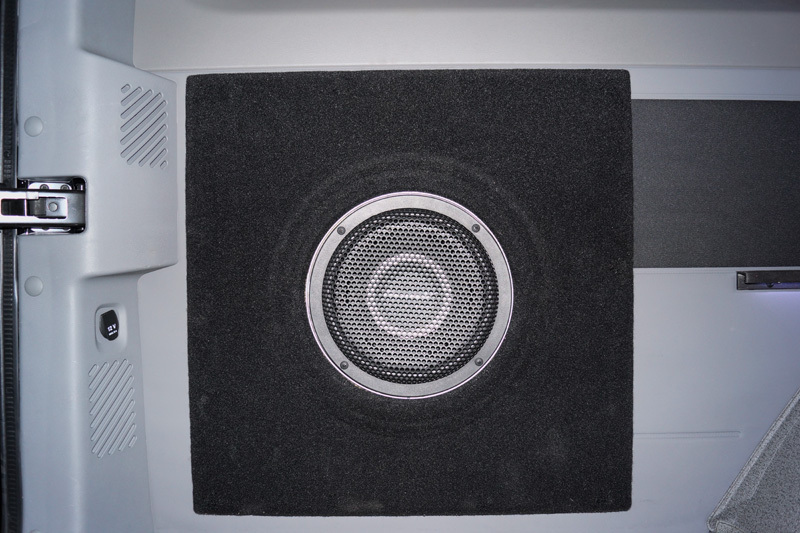 A complete enclosure was built to house the Playstation 3, Pioneer Single Din Radio with iPod hookup, and the T.V. 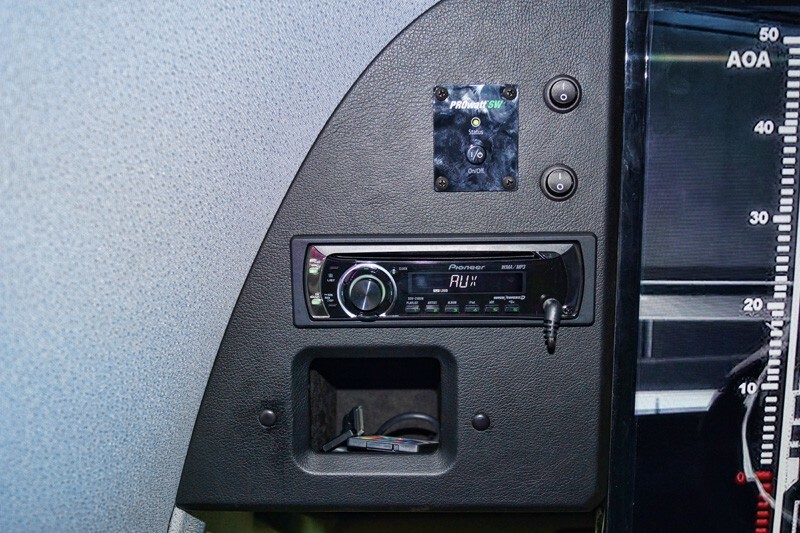 Next, a Pioneer Navigation Radio was added to the front of the vehicle. 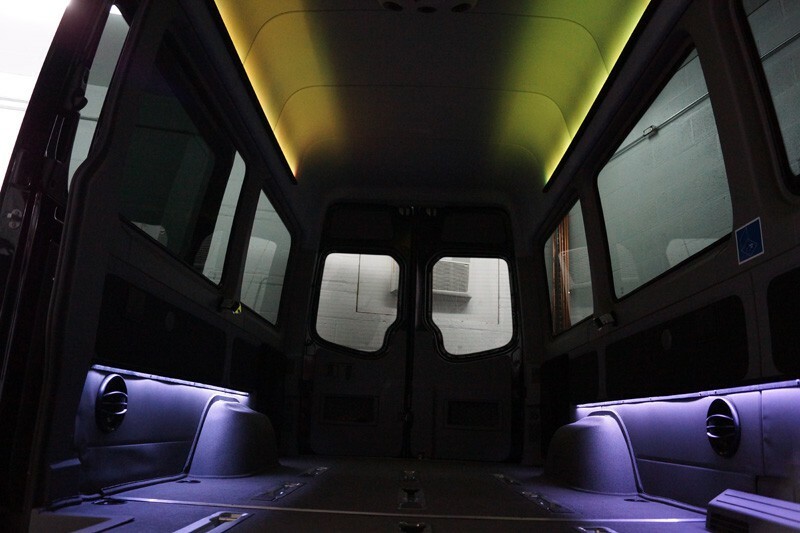 To give the moon lighting effect, multi color LED Lighting was added to the back controlled with a wireless remote. 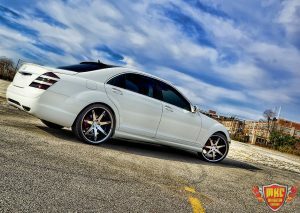 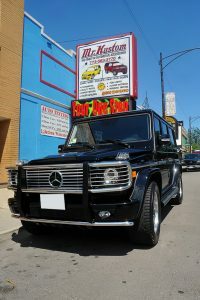 Call 773-583-3770 and speak to one of our specialists.